Disclosure: This post contains Amazon affiliate links for your convenience. 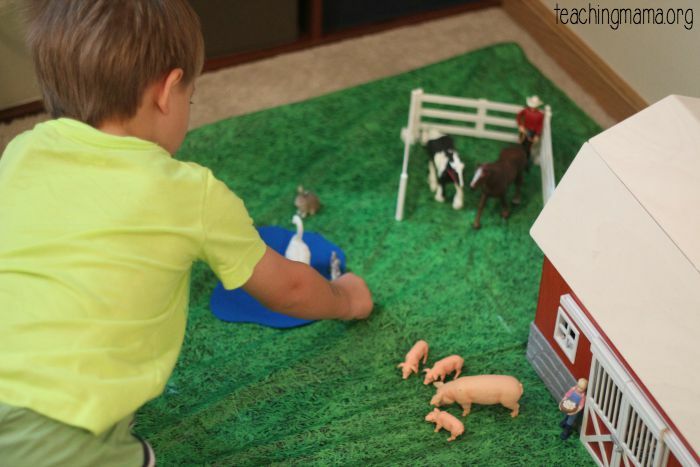 Small world play is an important part of preschool and a great way for little ones to learn. 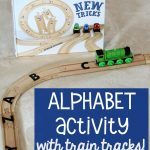 It’s an easy play activity to set up and kids love the invitation to play. 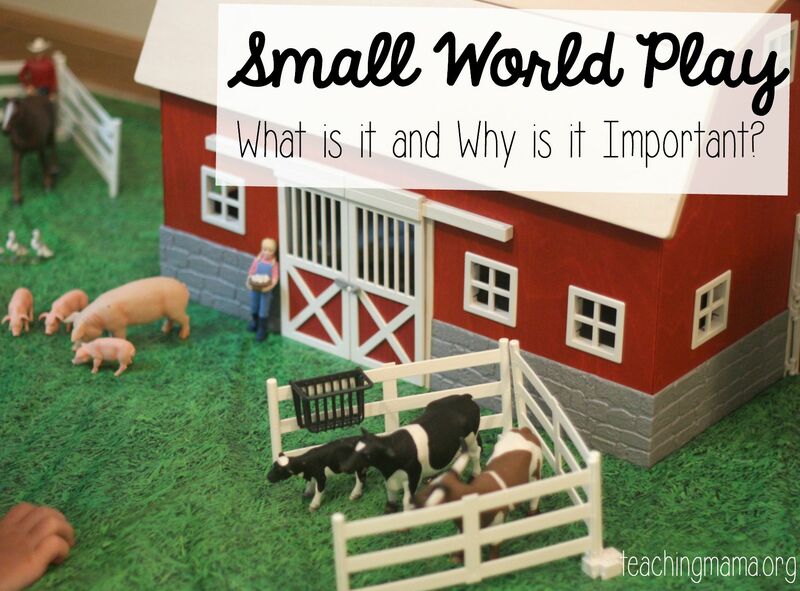 Today I’m going to share more about what small world play is and why it is important! 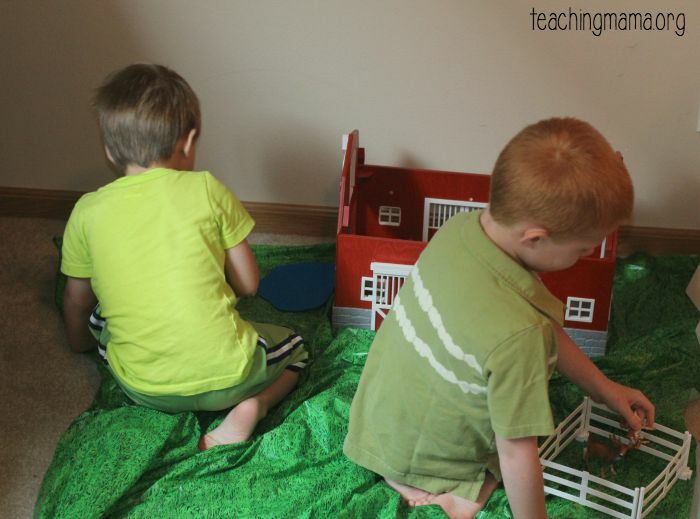 Small world play is creating a life scene for the child to play with. 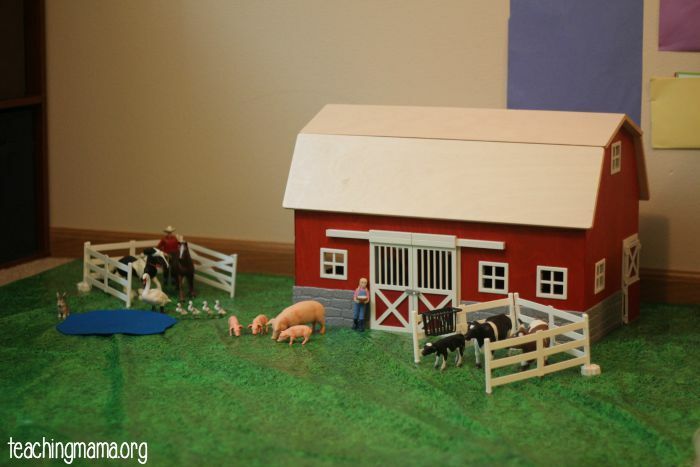 You can use miniature items (such as miniature furniture or barn animals) in the environment you create for them to play with. 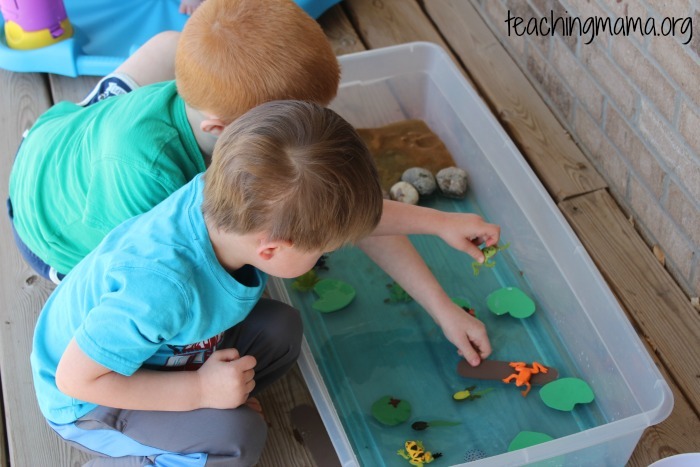 The goal is for the child to act out ideas from real life or reenact stories they know of. 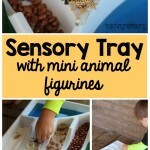 Often times, many sensory elements are used with small world play. It’s a wonderful, rich time of learning! This type of play is wonderful for language building. Children are imagining, and while doing so are talking out loud and using vocabulary. 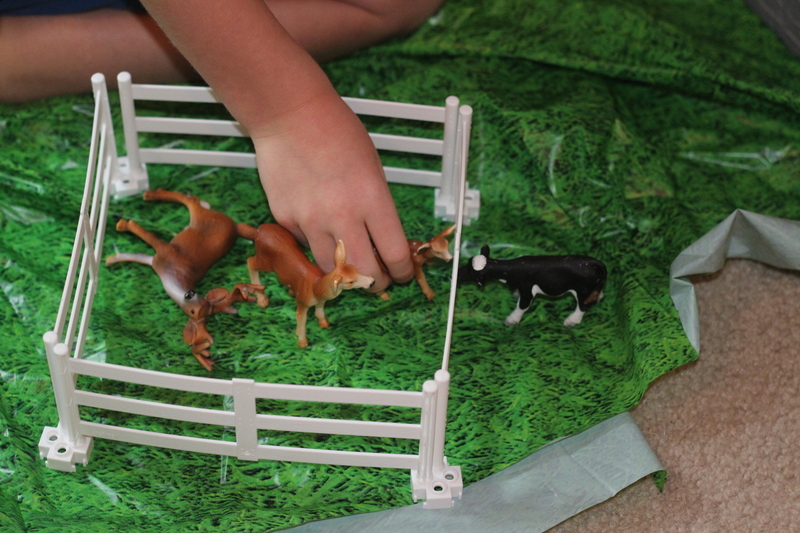 I created a farm scene with our Big Red Barn , farm animals , and fences for my children to play with. I noticed my 5-year-old son reenacted a story he knew about deer. He was using vocabulary words that he heard in the story, and not necessarily words he would use in daily life! It was so cute to hear him using dialogue between the animals. It also showed me that he really comprehended the story he listened to! Small world play is an awesome opportunity for children to use their imaginations. I love this quote from Benjamin Franklin. When you do small world play with other children, they learn how to share, play nicely together, and imagine together. Small world play is also great to do independently. 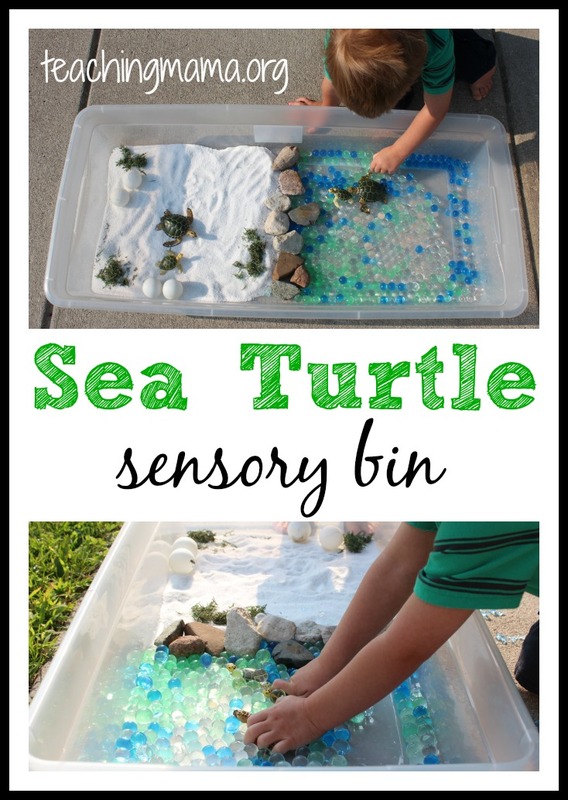 It can be an activity that children do independently to work on doing activities alone. 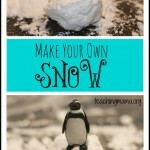 That’s a great skill to work on with children! 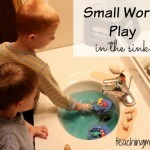 Now that you know what Small World Play is all about, let me share some of my favorite examples! 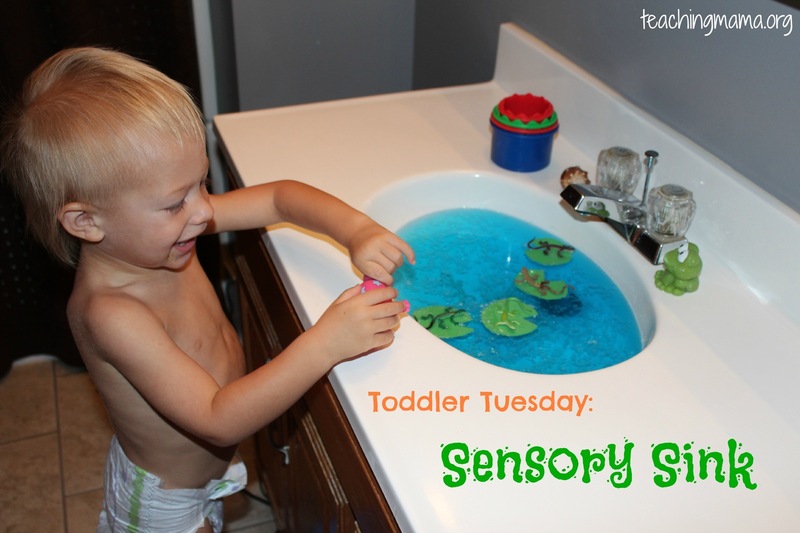 We like to set up sensory sinks. This is basically a sink for the child to play in with miniature animals. 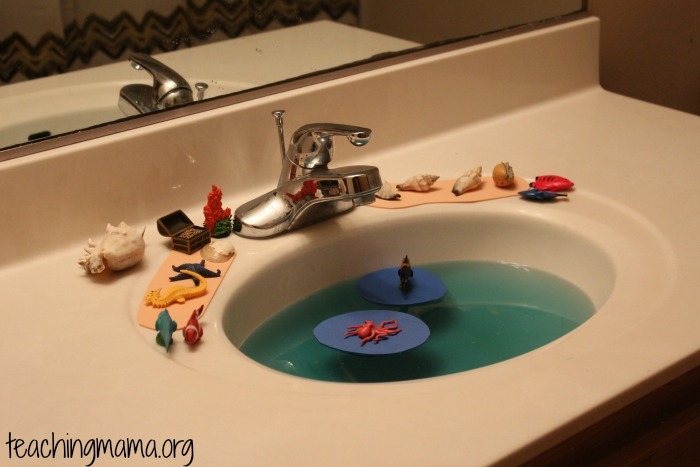 Here are 14 more fabulous small world play ideas! What small world play ideas do you have? Before I became a blogger I had never heard of small world play, but we’ve always done it. The name might be new but pretending is as old as toddlers and preschoolers themselves. 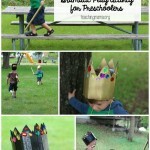 Loved the play ideas – quite a few I want to try! 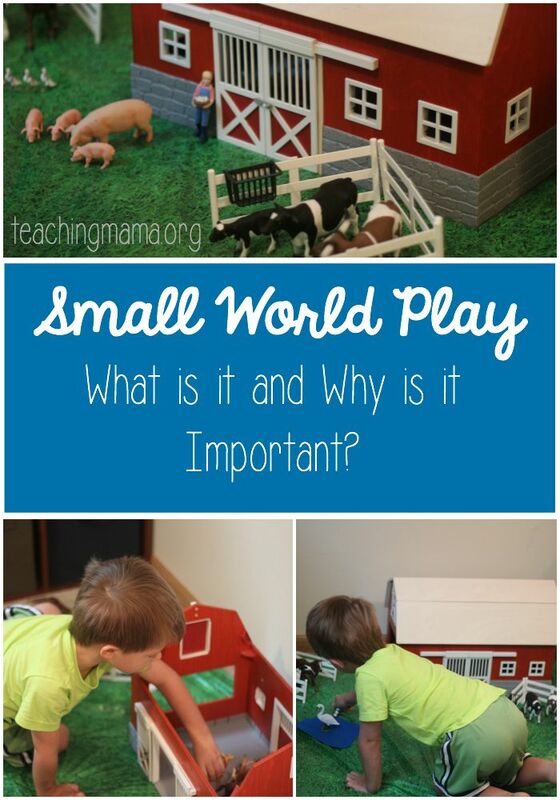 My kids love small world play and I especially like to combine the play with stories we have read. 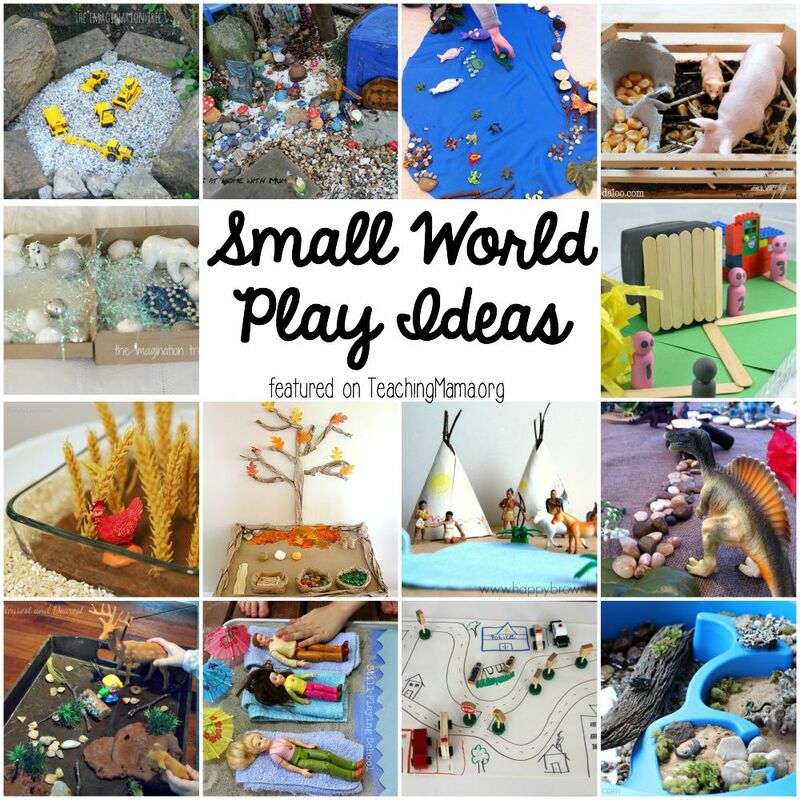 I always love the idea of small world play! I wish we could do more of it! But so many bloggers seem to have a million of these small toys in different sets and we are on a tight budget and I have no idea how we could afford to have so many different sets. 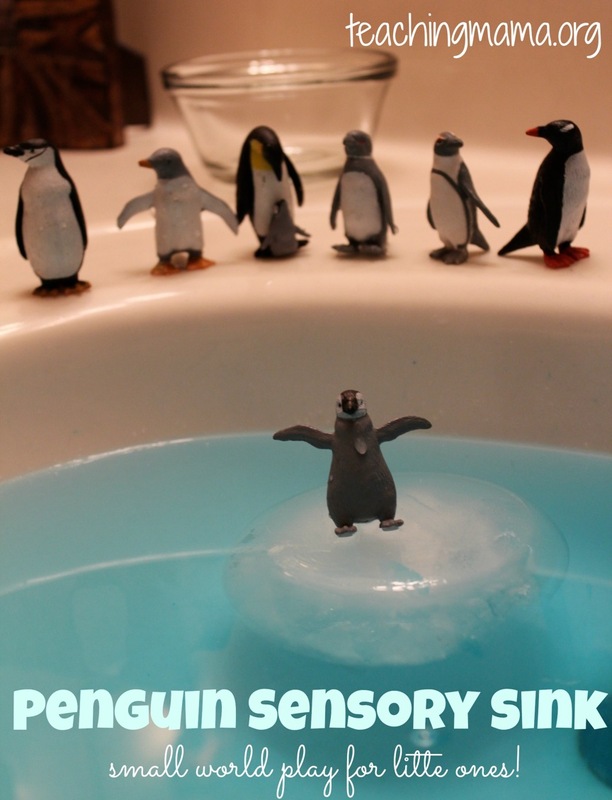 Melissa recently posted…Geeky Homeschool Poster #2: We’re Off Schooling with the Doctor! Melissa~ I understand tight budgets! 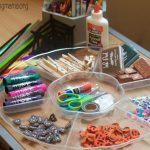 You’d be surprised what you can find in your toy box already and don’t understimate the creative power of including your children to help you make items from recycled materials. Toilet Paper rolls can be turned into almost anything! What a great list of ideas! Small world play is so fun. I think I recognized your son acting out Oats & Wild Apples, by Frank Asch, a favorite of mine. I have begun incorporating small world play into the literacy-based arts program that I teach, Start With the Arts. It is a training program for childcare providers in which we model the approach for the providers with the kids in their programs. It’s been a great way to help them expand their concept of dramatic play, especially linked to stories. I draw from all kinds of materials that I have stashed away, from crocheted flowers to shredded paper “grass” (one little girl stuck pieces of it into mounds of modeling clay and called them trees), to corks and pieces of fabric. So much fun!